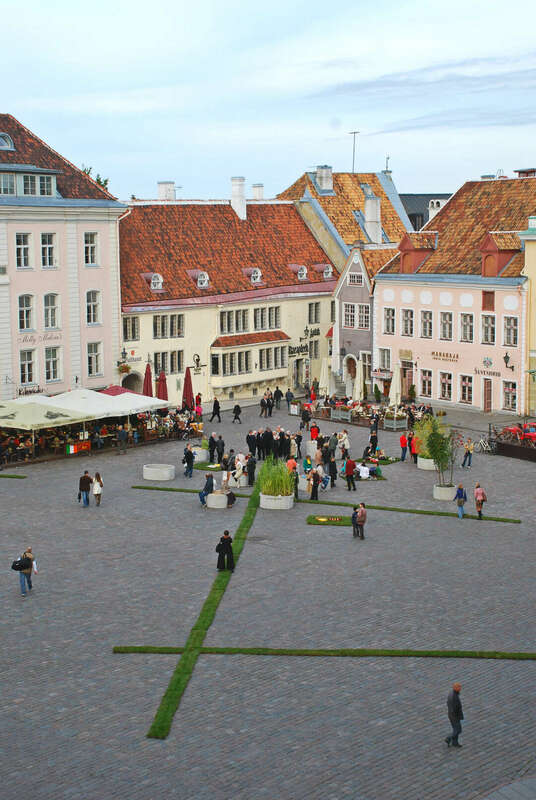 In the heart of Tallinn – Town Hall Square – an installation Night_Yard was erected for few days. The historical market square is nowadays full of expensive bars for tourists; a true local social life is missing here. The city is a collection of homes and therefore needs to be homey for people. Our installation provided simple joys of a home yard: lawn carpets, pillows, board games, fireplace – for hanging out with friends, falling in love… The installation created spontaneous activities like street musicians, 5 o’clock tea, children games and wishing habit, causing a true lasting of urban life. The Night Courtyard is opened so that people would remember to go out and touch what is slipping their minds, take some pieces home with them and remember that warm friendships, love for flowers and red cheeks are often born in courtyards. Night_Yard explicit design got started from designer’s idea to once change the physical space and see the power of design. Landscape architects got addicted to it and made it happen. All attributes of great yard we all value and use – fresh air, free being, grass, trees, sitting places, fire, games, readings, old and new friends, light or deep conversations and even wishing – all this changed the robust medieval museum-like square into real living space with smiles and talks. Even our construction was quite entertaining for bar guests; rushing to work locals stopped and looked around (maybe first time during a long period), we met several people who said a friend called to came to see this while they haven’t been in historical part of the city for decade. And the result? People asked us to not deconstruct it, to make it a real part of old town. This experiment showed that new perception of space doesn’t need a huge investment and is absolutely needed to inspire people to be curious towards their own home – city. So design act had finally also a strong social impact. Other authors: Anna-Liisa Unt, Merle Karro-Kalberg, Karin Bachmann, Kadri Klementi.